New Position Available – With Jesse gone, the Rodd Miramichi now has big shoes to fill! They are looking for a Red Seal certified Executive Chef to lead the kitchen team and continue to offer the same level of quality that customers have come to expect. Jesse MacDonald, Executive Chef at David’s at Rodd Crowbush Golf and Beach Resort. The Guardian, CHARLOTTETOWN, P.E.I. – Growing up in a farming and lobster fishing family, Jesse MacDonald got an early education in food that would serve him well in his future career as a chef. 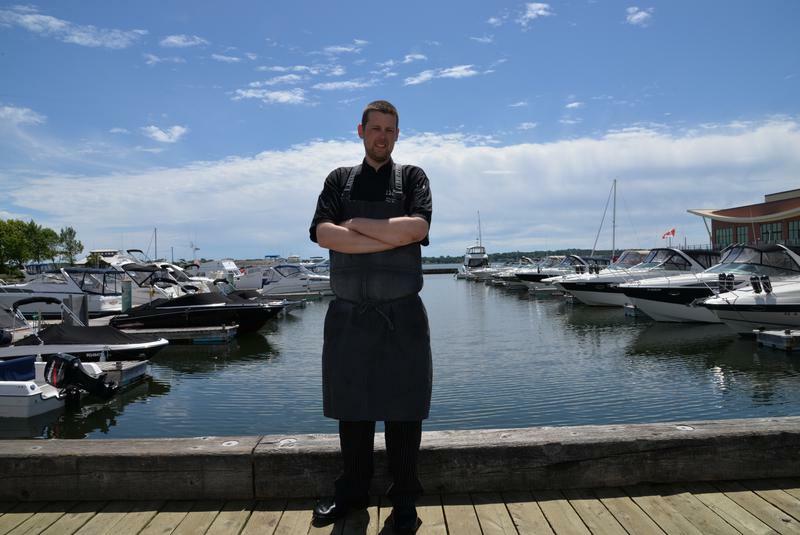 On Friday, MacDonald was named the 2018 Chic Chef of the year in the province’s Best of Sea restaurant promotion and culinary competition. The announcement was made at Peake’s Quay Restaurant & Bar. MacDonald, 28, from Launching, is the executive chef of David’s at Rodd Crowbush Golf and Beach Resort. His entry for the month-long competition in June included an appetizer of a deconstructed seafood salad, pickled mussels and braised butter oysters. The entrée was a butter-poached halibut, beet-crusted oyster and clam bacon. “Flavours that everyone can recognize but prepared or manipulated in such a way to try and take it to that next level and showcase some originality and uniqueness,” he said. MacDonald beat out 14 other executive chefs at Island restaurants to capture the prize. “It’s pretty humbling because not only was it positively received by the judging panel but it was positively received by Islanders and tourists,” he said. Being creative with food is important for MacDonald as a chef. “For a long time here, people thought food belonged in a box, meaning you could only have this one item one way. When in reality, food is a celebration of people and a celebration of culture,” he said. MacDonald graduated from Holland College’s Culinary Institute of Canada in 2010. He got his first experience in a Rodd Hotels and Resorts kitchen doing dishes at age of 13 during the summer. Winning the Chic Chef competition has secured MacDonald a spot as a contestant in the Garland International Chef Challenge set to take place during this year’s P.E.I. International Shellfish Festival, Sept. 13-16 in Charlottetown. MacDonald said he’s always wanted to compete in the challenge. He’ll face some stiff competition from the 11 other top chefs in Canada participating in the challenge. Last year’s challenge winner, Jinhee Lee of Calgary, is defending her title. Lee is one of several participants that have also appeared on the Food Network’s Top Chef Canada competitions. This is the 23rd P.E.I. International Shellfish Festival. Liam Dolan, founder and chair, said this year Chef Lynn Crawford is hosting the Fall Flavours Signature Event. As well, the festival will have live entertainment, kitchen parties and 13 advocates meeting people and promoting shellfish and the industry on the Island. A new event is Chef Michael Smith’s junior chef challenge for kids aged nine to 15.